With the news that Endsleigh are withdrawing their services from the Let Property Market, HM felt like it was a perfect time to introduce our Let Property Solutions, what we can offer you, and The Team that make it possible. Rent and Legal Insurance : Our Group Policies enable you to provide Rent and legal Protection as part of your managed/let service. In the event of Rent Default the Legal Costs for eviction of the tenant are covered along with the Rent itself until vacant possession is gained. This protects your incomes and the Landlords rent. Policies are tailored to include Scottish Tenancy Law. Tenants Insurance : Under a standard Home Contents policy tenants are not covered for accidental damage to their Landlords Contents. Our policy ensures that the tenants are covered for all accidental damage to their contents as well as their legal liability to the Landlord’s contents. They are also covered for alternative accommodation costs in event of damage to the property. Landlord’s Insurance : Many Landlord’s will have policies that don’t adequately protect them whilst letting. Your policy with Hazelton Mountford will cover you for the Property whilst rented, accidental and malicious damage by tenants, property owners liability and your contents within the property. Lee Gavin is our Senior Account Executive, with over 20 years in the Insurance sector. As an Independent Insurance Brokers we are able to offer more than just a phone call. Lee will come and meet with you and discuss in detail your management portfolio, and with a flexible approach he will tailor you a bespoke Block Policy that fits your business’ needs and will provide the best cover for you and your Landlords. ‘The Emily’s’… Emily Adams (left) and Emily Priestley (right) are our Let Property Account Handlers. The Emily’s will contact your Tenants and Landlords and provide competitive quotes for our Tenants Contents and Landlord’s Policies. As a policy holder, The Emily’s are only a phone call and email away to answer any of your questions throughout the entirety of your policy and also look after your Landlords who have Rent and Legal. They will also assist in claims management, along with our in house claims department. Hazelton Mountford are unique in that we have an in house tenant referencing company based within our organisation, placing us as a leading independent provider of property related products for landlords and letting agents. With 12 years of combined tenant referencing experience, our Referencing account handlers provide a personal service along with expertise in the field so that our Clients can be confident in the decisions we are making. Our thorough referencing service includes credit checks covering CCJS, bankruptcies and IVAs, verification of many income sources, previous landlord references, company checks, and we can also assist you with Right To Rent checks and Anti-Money Laundering including sanctions and PEP monitoring. We have been working in the Scottish market for the last few years and have experience of the tenant fee ban which has already been in force there, as well as integration with a major lettings software provider for Scotland. 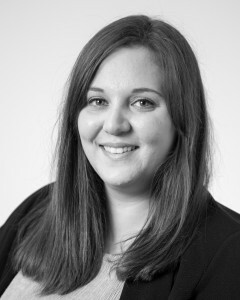 Sammie Byrne is our Let Property Manager, as well as assisting in the referencing of tenants, she also maintains client relationships, and ensuring our team are up to date with relevant industry changes. She is the main point of contact for our Letting Agent partners and with her many years of experience within the referencing sector, enables her to uphold a high standard of vetting to protect your Landlord’s investment. 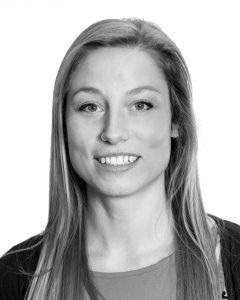 We are always keen to position ourselves as experts in the industry and Sammie is currently undertaking the Introduction to Residential Property Management Practice award as recognised by ARLA propertymark. The rest of the referencing team at Hazelton Mountford will be following suit in due course. 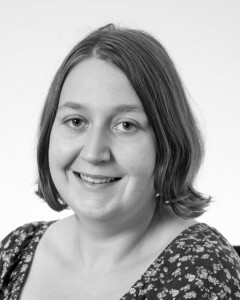 Megan Johnson, is involved in the introduction of Letting Agents to our services. She is able to demonstrate the system through online consultations, and provides support to new and existing clients. 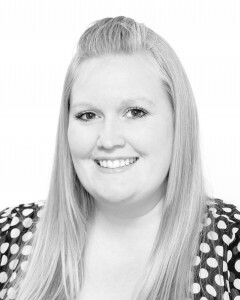 Megan also handles a portfolio of agents as their Account Handler. Sarah Jones (left) and Lauren Harper (right) are our referencing Account Handlers. All our clients are assigned a designated account handler who process your applicants, identify problems and ensure we approve quality tenancy candidates for your landlords. Whilst doing all of this the girls will liaise with you through out the referencing process to keep you updated with the progress of the tenants.